Here at EmuCasino, we believe in offering a completely transparent and open service to our customers. Our stance is to be the most secure, friendly and fun service to play all you favourite games on. We endeavour to make our customers experiences as smooth and hassle free as possible, however still ensuring that all our obligations are met for our strict licensing requirements as well as keeping the safety and security of our customers’ accounts paramount. Below you’ll find a breakdown of just some of the things we do to protect our customers. As part of this, we request proof of identity and proof of address when you make your first withdrawal request. This is easily done once logged into your Emu Account, within the ‘Documents’ tab, where you can scan and upload the required suitable documents. For proof of identity, we will require a scan or photo of a government issued photo ID, such as a driver’s license, passport or national ID card (any confidential information can be blocked out as appropriate). For proof of address we will require a scan or photo of a recent utility bill, bank statement or telephone bill that shows your name and address clearly (any confidential information can be blocked out as appropriate). Please see our account verification page for full details. All information at EmuCasino is securely encrypted with SSL-encryption (Secure Socket Layer) to enhance your security. We recommend that you choose a unique password, which consists of both capital and lower case letters and numbers, and see to it that you learn it off by heart. Unlike a lot of our competitors, we encrypt every page on our site, meaning your experience is secure – all the time. EmuCasino.com is secured by Thawte’s® SSL Web Server Certificate, assuring our players that our site is secure and our identity has been authenticated to the industry’s highest standard. In order for us to receive with this level of extended validation from Thawte, EmuCasino has had to comply with a specific set of identity verification criteria. We have had to validate our operations, personal identities and authenticity as a business. 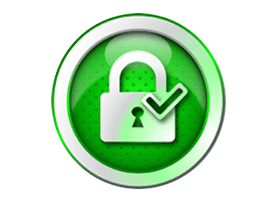 Furthermore our certificate protects our players confidential information with up to 256-bit SSL encryption, so you can ensure that all your personal and banking details are 100% secure. With a wide selection of payment and withdrawal options, EmuCasino offers lots of ways for players to move money in and out of their players account. From a security perspective we ensure this meets the latest and most secure methods. With Credit or debit cards, no details are stored on our platform, with all payments and withdrawals being passed through to our trusted banking partner – a fully PCI compliant company known for their robust framework for processing card payments. Here at EmuCasino we believe in offering a service that combines stability, safety and security in everything our players do both in respect to the onsite games features and any financial transactions. We adhere to strict policies on all aspects of compliance and accountability to ensure that measures are in place in the restriction of under18’s from the site and to reduce the potential risks of gambling disorders. EmuCasino conducts its banking and financial affairs in accordance with accepted standards of internationally recognised banking institutions. Including separating player funds from operational funds within the business. EmuCasino adheres to all jurisdictional laws pertaining to transaction reporting which includes that all payments are encrypted and kept on record for future auditing. Here at EmuCasino, we believe that gaming should be a fun past time and nothing more. We’re committed to detecting and reducing compulsive gambling problems. Part of our framework to be pro-active about reducing this, includes monthly deposit limits for customers and analysis of gambling patterns. For more information on our stance on Responsible Gaming click here. To enhance our customers’ confidence in the soundness of our gaming platform, EmuCasino has our systems, algorithms and practices available for inspection and review by independent auditors on a regular basis. Using state of the art technology through well-established, recognized partner providers, we are transparent in how we conduct our business and audited on a regular basis. In order to provide an efficient dispute resolution process, EmuCasino retains in depth records of all activity of customers’ onsite. As an operator, we believe in addressing any issues customers may have, with an un-biased internal investigation that looks at the facts of the matter within the context of the dispute. We also use 3rd party external mediators to resolve issues when required. EmuCasino retains detailed transaction records of all financial transactions as well as game play history. These records are securely archived and are accessible to the customer, any legitimate gaming commission, or government authority upon formal request. Aside from this, our group of companies is audited and reviewed annually as with standard business practice. With the modern Internet, the advantages of downloading a casino client onto your computer are now less worthwhile than ever before, and in fact can even be more of a disadvantage with the increased risk of spyware ever present. As such we believe that the best solution is to play casino games online, through the safety of your browser where the direct risk to your home computer is greatly reduced. All of our games are available, securely through your browser and with over 250+ to choose from and new games appearing each and every month, you’re sure to find something that will take your fancy.